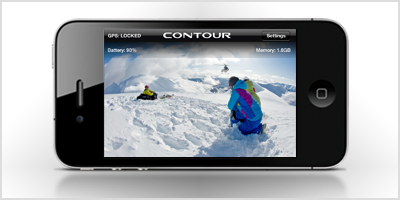 The Contour GPS and HD helmet cam systems are popular among extreme sports shooters. But like many cameras of this size, they don’t come with a viewscreen. Now Contour has released the ConnectView Card upgrade for ContourGPS cameras. With the ConnectView Card, you can monitor your Contour’s video on your iOS device over Bluetooth. Android support is promised in the near future. Read more on Contour’s website.